Superdry women's Lisa culottes. Combining style and comfort, the Lisa culottes are a must have in your wardrobe this season. 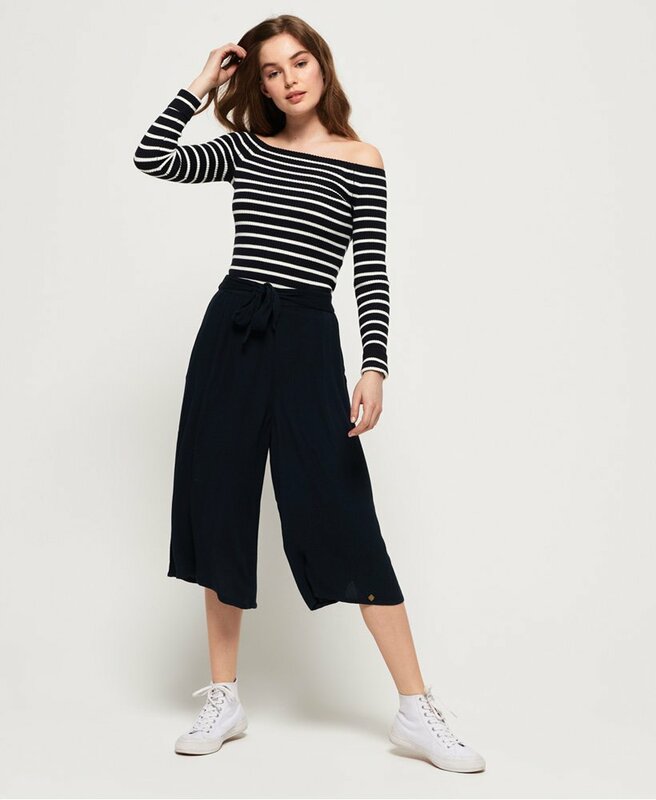 Crafted from a lightweight fabric, these culottes feature an elasticated waist with tie fastening and a small logo badge on the hem provides the finishing touch. Style for the everyday with a simple t-shirt and trainers, or dress up for the evening with a cami top and wedges.